The state of Nevada is poised to mandate the use blood tests and eliminate urine tests in DUI convictions for marijuana. Although Washoe County already uses blood tests for pot, the state Senate this week gave the final vote of approval for the testing change for the entire state. Now, this measure only needs the final ‘John Hancock’ from Gov. Brian Sandoval to become law. 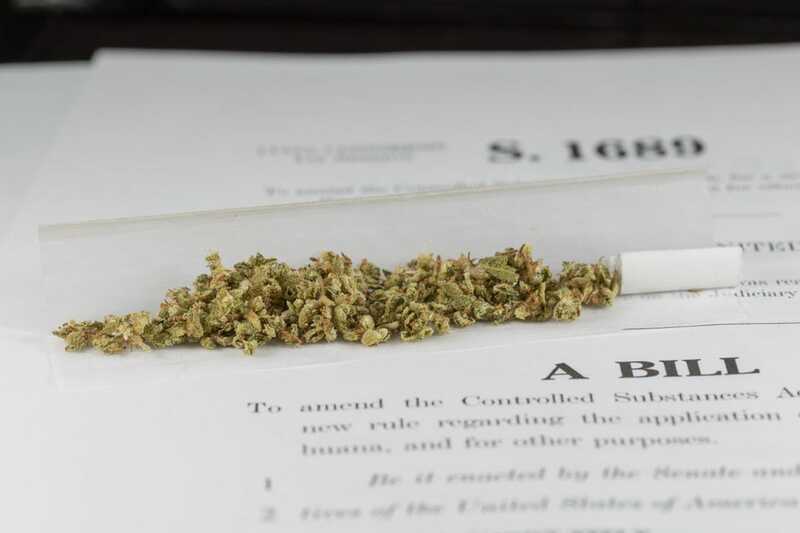 The final Senate vote floor vote comes less than two months before the July 1 starting date for sales of legal marijuana for “recreation” across Nevada for everyone 21 and over. The blood-test/pot bill’s sponsor, Assembly Judiciary Committee Chair Steve Yeager, D-Las Vegas, sold the bill to fellow lawmakers as a “common sense” approach to DUI testing for pot. Current urine testing for pot is not reliable because it does not test for the psychoactive element that gets you high — THC, he said. Yet this is not a perfect science. Determining marijuana impairment is more complicated than determining alcohol impairment, according to a study by the AAA, the nation’s largest auto club. Yeager’s bill may be an improvement over the old method but it is still not a great way to test for marijuana intoxication, according to the AAA. That study states it is not possible to set a blood-test threshold for THC impairment because there is no science that shows at what level drivers become high after ingesting THC, according to a CBS News story about the AAA report. Some drivers with high levels of THC in their blood may not be impaired, especially if they are heavy pot users, the study stated. Others, who may not use marijuana often, could have relatively low levels of THC in their blood and be impaired for driving, according to the study. In Nevada, however, almost any amount of THC in the blood will get you into trouble. The legal limit is 2 nanograms of active THC in the blood, which Yeager said is a very low limit. “I’ll just say, our levels and laws are very, very low. So it is virtually impossible to test positive on a blood test and not be over the allowed limits under the (Nevada) statute,” Yeager said. Nevada is about to embark on society-changing era where marijuana is legal. The AAA study, however is concerning. It suggests consuming this herb can make you a victim of a legal system that has no universally-accepted and accurate way of testing for DUI marijuana. Perhaps Yeager’s bill will give Nevada a law based on the best technology available. It appears better than the current system. Yeager believes that the question of testing for marijuana DUI may need adjustments in the near future. It is a subject that the Legislature may need to revisit when better technology and testing methods become available, since this legal recreational pot business is projected to be popular and profitable in Nevada.